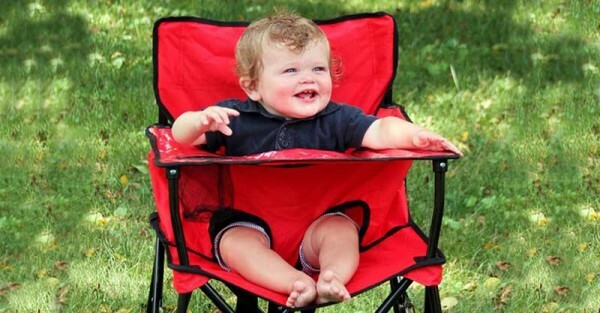 Ciao Baby Chair - the go anywhere highchair for families on the go! 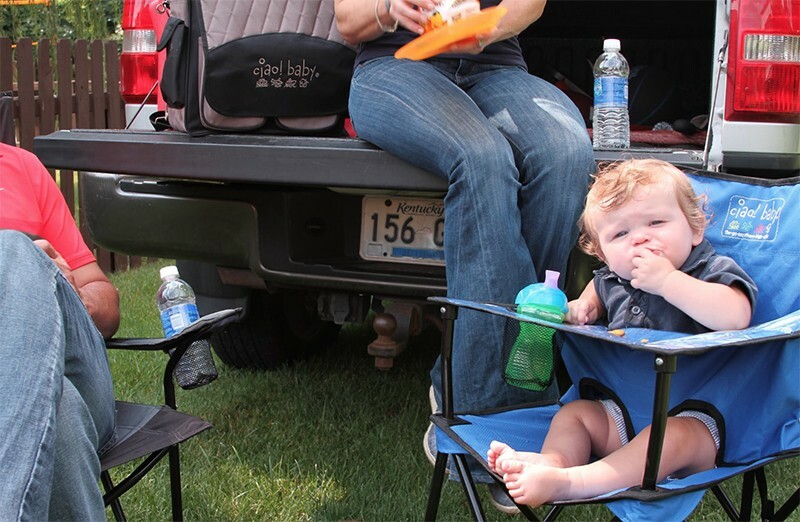 Ciao Baby Chair – the go anywhere highchair for families on the go! Here’s a completely portable, space saving, go anywhere high chair which is going to make your next camping adventure – or any adventure – with baby in tow, an absolute breeze. The Ciao Baby Chair is the most portable high chair we’ve seen. It folds up and locks in place just like a regular fold up chair, making it super easy to cart around in your car boot or take on the bus or train. 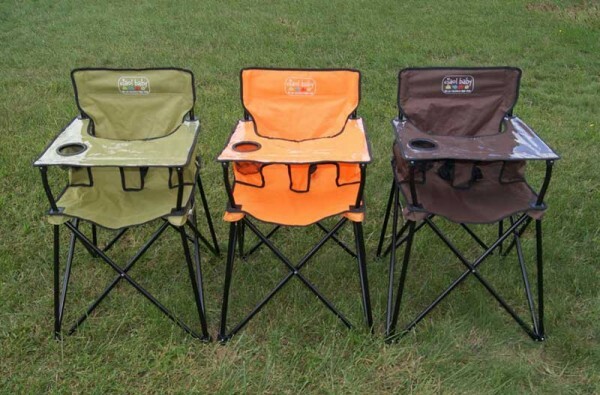 And of course it’s perfect for camping, picnics in the park and barbecues at a mate’s place. Children weighing in under 15kg can sit securely in the lap belt for meals and rest their cup in the inbuilt cup holder, putting an end to baby eating in your lap. From the top of the seat to its vinyl covered tray, the Ciao Baby Chair is easy to wipe down and keep clean – music to parent’s ears! Priced US$68, the Ciao Baby Chair isn’t yet available for shipping to Australia, but we’ll be sure to let you know when it is!